As the saying goes you miss one bus and two come along. And that’s what happened when I received Apartment 143 in the post today. I was surprised as I had already reviewed Closed Circuit Extreme, and thought I’d finally had my fill of found footage style films. 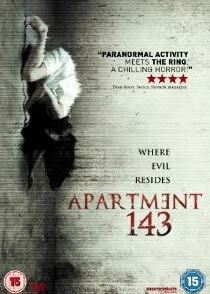 To be fair though, Apartment 143 isn’t really found footage… I digress, so let’s start the review…. after Alan White, the tenant, has asked them to investigate strange, spooky goings on. Benjamin White, his son has experienced paranormal activity to an extent. Caitlin, his daughter, is very rebellious and doesn’t want to be involved in any aspect of the investigation at first. Benjamin insists that the activity is caused by his recently passed mother and Alan is obviously very concerned for the welfare of his children. This is the main reason that he has requested an investigation takes place. Caitlin’s distance from her father becomes apparent during the course of the film. Dr.Joseph Hauser the lead investigator is a skeptic and advises Mr.White that the phenomenon is down to a poltergeist rather than a ghost (I found this statement bizarre as surely a skeptic would find neither a poltergeist or ghost real? What do I know though, I just do the reviews here). The paranormal activity appears to have happened in the White’s old property too. Caitlin and Benjamin eventually appear to be the main culprits, being responsible for the materialisation of the poltergeist, but again this does not explain how a woman suddenly appears completely out of nowhere. What secrets does Mr. White hold about the death of his wife? Does he hold the key to the occurrences taking place? Is he really the reason for Caitlin’s ‘out of this world’ behaviour? The séance in the film is staged particularly well and I’d recommend seeing the film for that scene alone. There have been a lot of negative reviews about Apartment 143, but I can actually see what director Carles Torres was trying to achieve in making the film. Sure it’s a blatant rip off of Poltergeist and Paranormal Activity, but what’s wrong with that? A combination of old school classic paranormal shenanigans blended with the new genre only can equate to a classic film can’t it? 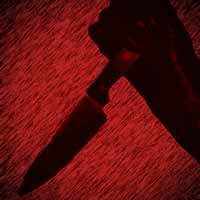 There are some genuinely scary moments in Apartment 143, and the film draws you in as it progresses. I genuinely felt that I was a part of the film at some points – I became that engrossed in what was happening. When confronted by some of the phenomena that occurred, I genuinely jumped, which is very rare for me indeed. Apartment 143 also has some pretty cool effects, a little background story and likeable characters. It was a nice touch to have two sides of explaination for the phenomena. One side for believers in the paranormal and the other side for the skeptics. The only down side to the film as a whole was the ending. It’s a bit of a non-climax. Considering all the amazing phenomena witnessed throughout, I felt that there was no real explanation given for why the activity had happened and why it stopped. I would recommend the DVD to anyone who is a fan of paranormal films such as the aforementioned Poltergeist and Paranormal Activity. Whilst this film is unlikely to wow you, there are enjoyable times throughout the film, which is a bonus in the blood soaked world us horror fans like to inhabit. Get this DVD if you like things that make you jump.